Mindy Lacefield lives in central Arkansas with her husband Tim and two poodles, Merlin and Sammy. 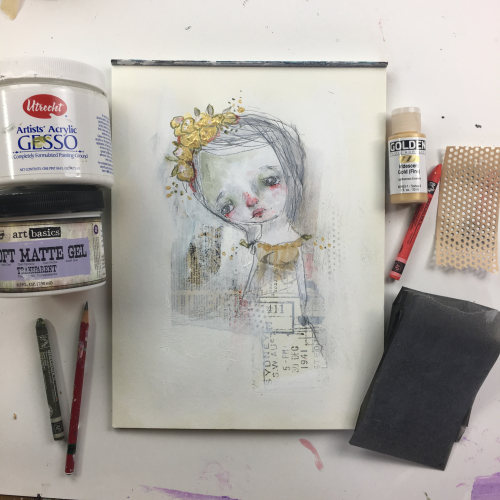 She is a mixed media artist who draws inspiration from the rainy days of her childhood. She believes that embracing mistakes and the beautiful happy "accidents" in art is where the magic is found!